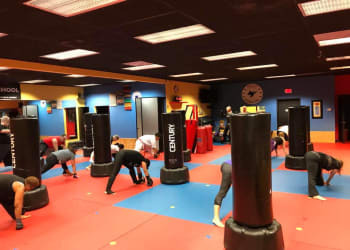 Whether you're looking for a great workout or you're hoping to learn some of the most effective self-defense skills around, we've got you covered at TOP Martial Arts in Clearwater. 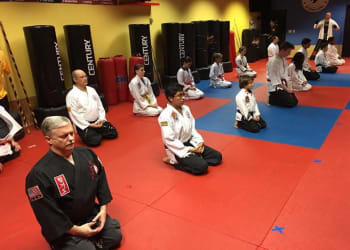 Our Adult Martial Arts program pushes men and women of all ages to be stronger and more disciplined in everything they do. Have a blast learning new skills and walk away feeling great about your accomplishments! 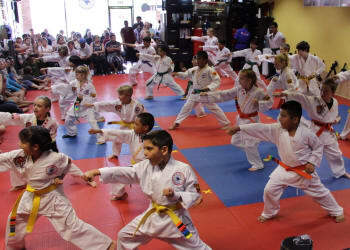 Choose From Cutting-Edge Adult Martial Arts Classes Or Try Them All! 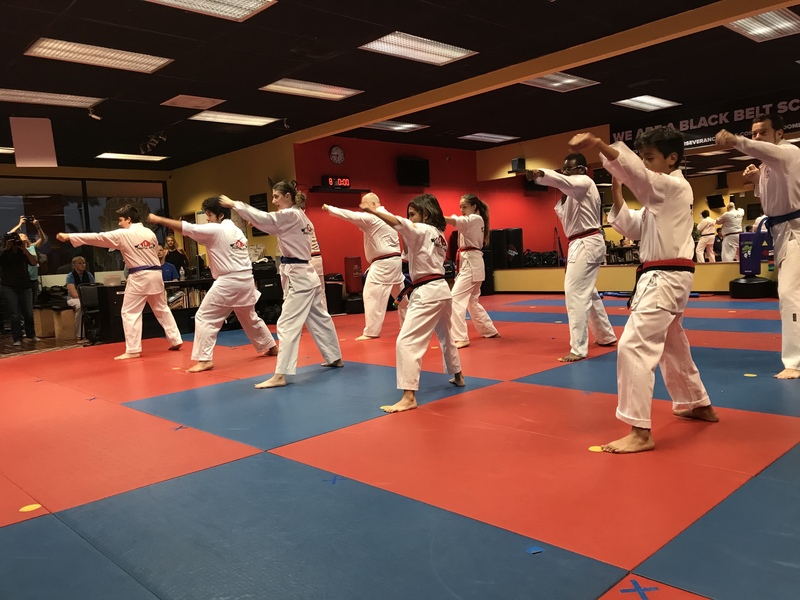 From traditional self-defense to weapons training and sparring, we've got everyone in Clearwater covered with our Adult Martial Arts Classes. Find the class that works best for you or give them all a shot and build a well-rounded skill set in no time. Hapkido: Learn how to redirect the force of an opponent and maintain control in any situation. Hapkido promotes smooth movements and combines elements of your mind, body, and environment into an effective strategy of self-defense. Weapons Training: Learn how to protect yourself and your loved ones with cutting-edge weapons training for any situation. These classes range in skills from beginner to expert and can help you stay safe in the face of danger. Sparring: Take on an opponent in a safe and structured environment. Our Sparring lessons allow you to master every aspect of close-combat self-defense, giving you the chance to put your skills to the test. Kickboxing: Our high-energy Kickboxing classes help you get in great shape and build incredible striking skills. Filipino Warrior Arts: This style of martial arts is a weapon-based system with sticks, knives, bladed weapons, and various improvised weapons. It also includes hand-to-hand combat and weapon disarming techniques, single stick, double stick, karambit, knife, knife disarms, sword, sarong, joint locks just to name a few things we work on. The curriculum is easy to follow, and you’ll learn step by step from beginner to advanced. A lot of fitness classes promise big results and then fail to deliver. That's not us. Our Adult Martial Arts Classes help you get fit by pushing your body and your mind at the same time. You won't even realize how hard you're working as you learn new skills to and put them into action with our dedicated instructors. Get Started Today! 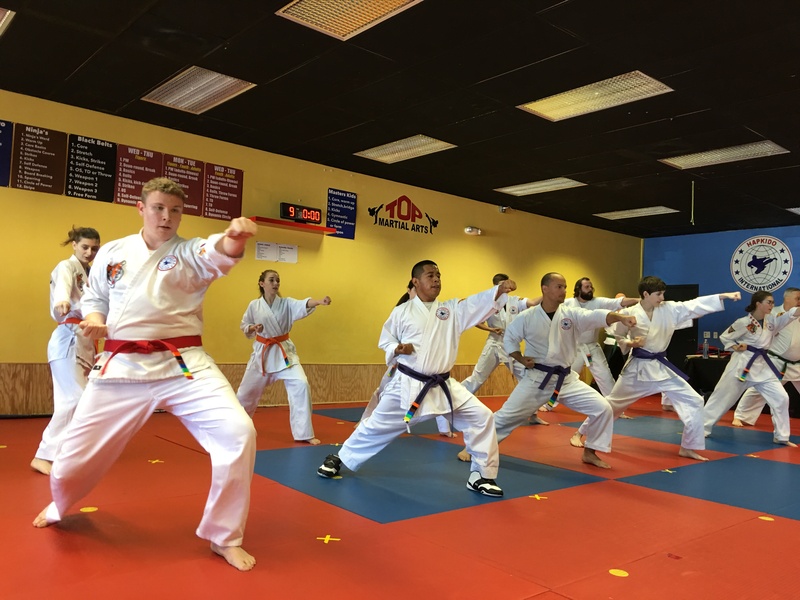 Our Adult Martial Arts Classes In Clearwater Can Change The Way You Think About Exercise! You don't have to dread your workout. And you don't have to spend hours alone running in a circle. Get the best of both worlds with great self-defense skills and a total-body workout. Our Adult Martial Arts Classes in Clearwater challenge your body and your mind each and every day. Take the first step today by filling out the short form on your screen. 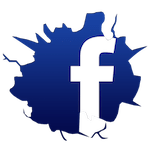 A member of the TOP Martial Arts family will reach out right away to answer all of your questions!